Christmas is that time of year where science, history and magic all come together, and where the holiday season brings the best of humanity out; no matter what your religious beliefs may be. For stout Christians, Christmas Day symbolizes the birth of Jesus Christ, but for many others the holiday season has become a symbolic time of giving, charity and togetherness in general – not such a bad thing at all when you think about it. So, whether you’re a Christian or not, it’s no wonder why this time of year still conjures imagery of holiday decor, community street lights & decorated trees, bell ringing, charitable acts of kindness, candle lit moments, family feasts, prayerful moments, snow and whimsy, joyful music, and of course, gift giving, the innocence of youth, and even more iconic, Santa Claus himself; (or St. Nikolas or Saint Nicholas), depending on the region you’re from. 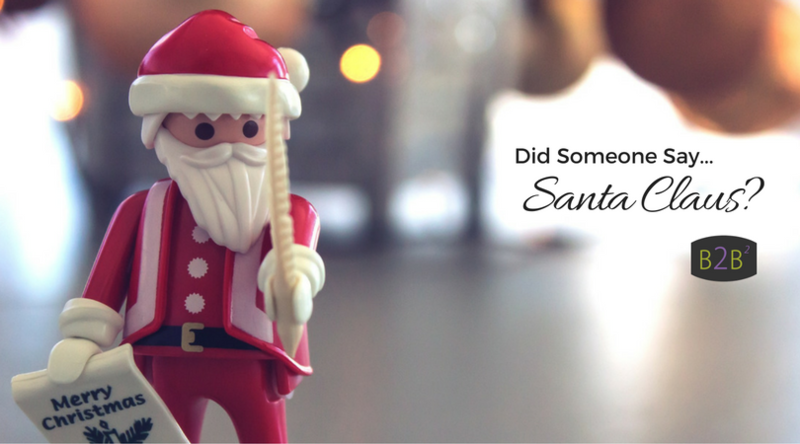 For the purpose of this blog, we’re going to take a closer, fun look at that jolly, gift-giving elf of the holiday season – Santa Claus. (Talk about your perfect brand expansion and marketing strategies.) Together, with the help of our friends from Statista.com, we’ll look at why Santa remains such an iconic, magical and mysterious part of our seasonal history! Santa is truly a magical being; with special gifts and talents bestowed upon him to ignite the spirit and goodwill of men across the globe in order to make the season truly special for millions upon millions of children; young and old each year. MERRY CHRISTMAS from our Back2Basics family to yours!